We are proud to present you our new partner, who has entrusted us with the creation of an online store. Wedding-Rings.co.uk is part of Hathaway Styles Limited, online retailers of high quality jewellery. They have been manufacturing quality jewellery in the UK for over 80 years which is sold throughout the UK in some of the finest jewellers. They are highly passionate about jewellery and have been involved in the jewellery industry for many years. Everyone can buy a handmade wedding ring that has been individually made by highly skilled craftspeople to their exacting requirements. 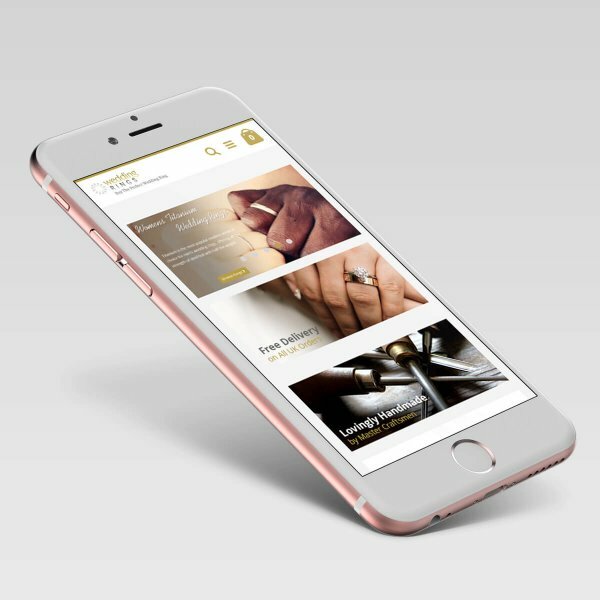 They have access to talented designers and trades such as the assay office, all of which helps to make their business very efficient and enables them to send the chosen wedding ring without delay. How we did that ? Website is based on the Magento 2 platform. We implemented the provided PSD files and turned it into fully functional Magento 2 Online Shop, which has everything for doing online shopping. Do you like our work? Contact US now!